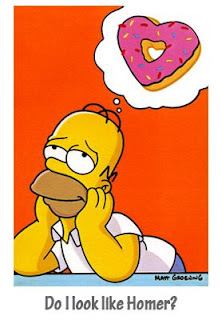 I had this HUGE craving for donuts so I called Malcolm to check if he was game for some. Lucky me, he was. 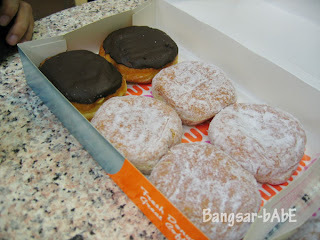 (maybe he didn’t dare say no to me…kekeke) As I was too lazy to travel too far, J.Co was out of the question. Big Apple (Mid Valley) was nearer but Malcolm just came from there so he didn’t want to go back. Happy was so so. Didn’t like the topping but the custard inside was slightly more than Bavarian’s. The others were pathetic, especially the Banana. Dunkin is no longer THE donut place to go to but I have no idea why I still do. Must be their branding…damn advertising people! 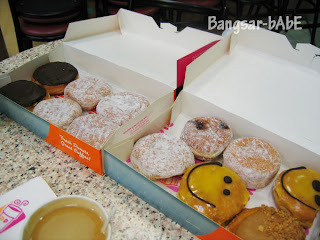 The lousy donuts and 2 coffees set us back to about RM 27 after 5% tax. A dozen donuts cost about RM 20 after tax. A lot more expensive than J.Co and Big Apple yet falls short on taste. Do you know where exactly is Big Apple situated in Mid Valley? It would really help if you could post their address. Thanks.